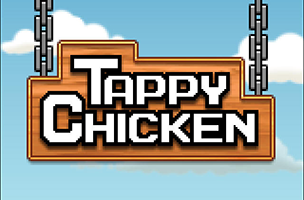 The Flappy Bird phenomenon could be ready for round two, as Epic Citadel developer Epic Games has released Tappy Chicken on iOS and Google Play. The game is a 2D side-scroller, asking players to tap on the screen to make a small chicken fly higher on the screen, with the goal being to fly the chicken through gaps in wooden posts. While the game is a standalone experience (and a highly rated one, with a 4.5 out of 5 star score on iOS, as of this writing), it also serves as an example of the capabilities of Epic’s Unreal Engine 4 (UE4). The game was built by a single artist with no traditional programming skills, and offers procedurally generated levels for a constantly varied gameplay experience. This, in part, shows off the “ease of use and flexibility” of UE4. Tappy Chicken is one of the first games created on UE4, and the first UE4 game released on iOS and Android (as well as HTML5 through web browsers). It supports leaderboards and achievements, as well as iAd and AdMob support for advertising on iOS and Android versions of the game, respectively. “UE4 makes it easy to create a cross-platform game, abstracting away platform-specific details and letting you focus on making a game,” says Epic’s Michael Noland, on a company blog post. “Tappy Chicken handles touch, mouse, and controller input, and can run on any supported platforms, even the consoles. Tappy Chicken is available to download for free on iOS and Google Play. More information on Unreal Engine 4 is available on Epic’s website.